Is there anything in this world better than pasta? Besides chocolate, that is? If my family would let me, I would make some form of it every single day of the week. Spaghetti, lasagna, fettuccine, macaroni... baked, boiled or fried, I just love it all! Not only is it delicious, I like how quickly it can be prepared for those days I am short on time but the family still wants to eat. 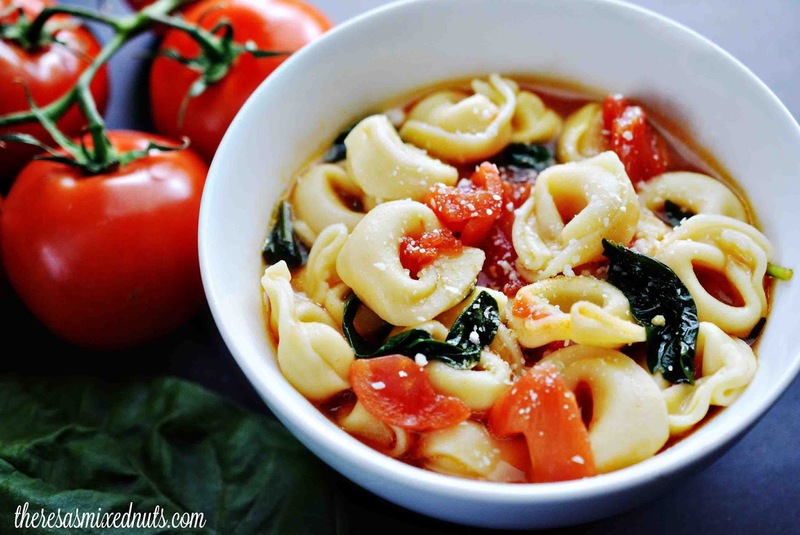 That's why I am totally digging this Tortellini in Tomato Broth recipe from Golden Blossom Honey. It's quick, filling, and scrumptious! 3 things that definitely make this dish a winner! Jason usually doesn't like it when I make "just" soup for dinner because he tends to still be hungry afterwards. But, there were no complaints with this. He was so full from his serving, he turned down finishing off the leftovers in my bowl, which is something I rarely see him do! It does look like a lot of ingredients which could be mistaken for this being a time consuming recipe, but I had this from stove to dinner table in under 15 minutes, including food prep. Looks nom! I mostly use wholemeal pasta when I can find it cheaper on sales so I stock on it, I put it in soups too, but here we always put noodles in soups. My fave pasa would probably be 'tarana' which is small little pasta pellets which are cooked in the way that they soak up all the water during cooking. Tarana sounds yummy! I don't believe we have the here though :( I did Google it to get an image of what it looks like. I will have to look in our Ethnic grocers next time I am there to see if they stock it. This does look so tasty! I like Lasagna a lot. I have to look up how to spell it every time though. That silent g gets me every time. I like making lasagna because we usually have enough for 2 dinners. It's such a budget savvy meal! This looks so yummy. I am always looking for new recipes. 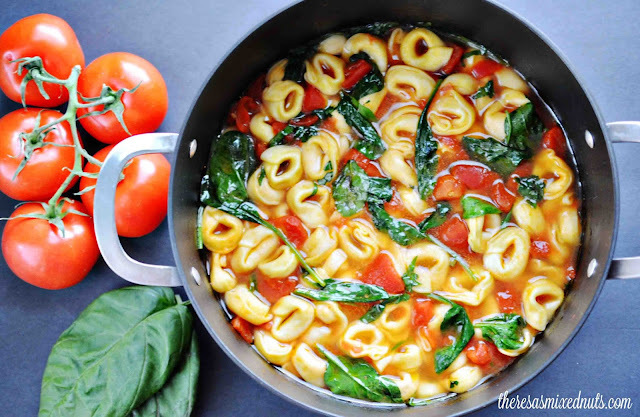 Tortellini has always been one of my favorites. Mine too, though I have never made it from scratch. I'd like to give that a try someday though. It's definitely a comfort meal perfect for cold nights! Oh oh oh I'm excited about this one!!! I love finding vegetarian meals that I think the kids will love too, and I bet they're going to be all over this one. I'm making it! They will love it! I didn't think my girls would eat it because they don't like greens (crazy, right!?) but they both gobbled up a bowl. Looks really healthy and delicious. I love pasta. I need to make this! Looks so delish. I think I might see if I can buy Dezzy's tarana here in Canada. Sounds very tasty and healthy too. I would never think to add honey to my tomato sauce, but what an excellent way to sweeten it. Your dish looks amazing! My goodness,that looks absolutely delicious. 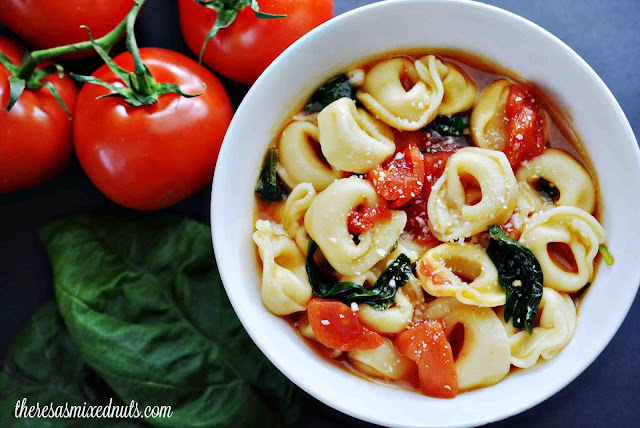 Tortellini is so much favorite with all of us at home & the recipe looks easy to prepare & the combination of some wonderful ingredients makes it a healthy recipe to go for. I haven't tried making this for my family before, but it sounds like a yummy recipe! I would love to try this sometime! we love just simple spaghetti here! sauce makes it good! Omg can we say delicousness?!?! So pinning so I can give this a try!! Yummy! That looks SO good. Tortellini is my favorite pasta. It's shape is perfect for grabbing little bits of both or sauce and cradling it in carby goodness. Yum! I'll take two bowls please.